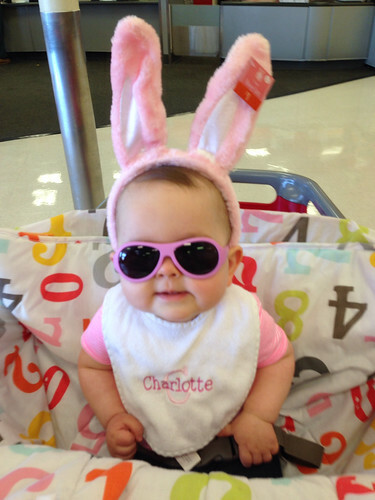 And who out there hopes the Easter Bunny will make a stop at their house this year? 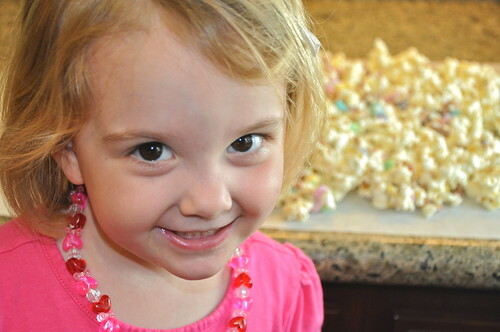 Given our genetically predisposed love of popcorn combined with our sincerest Easter Bunny hopes, Eleanora and I made some super fun Bunny Bait today while our own little baby bunny was napping. 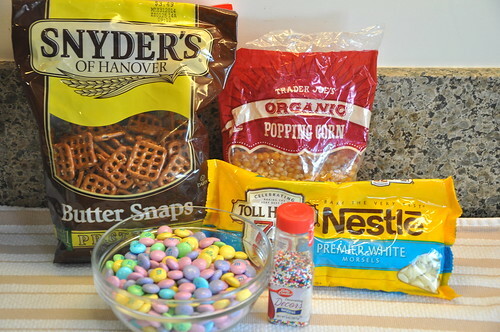 This Bunny Bait takes about 15 minutes to throw together and is GUARANTEED to convince The Bun to stop at your place. He can’t resist this stuff. 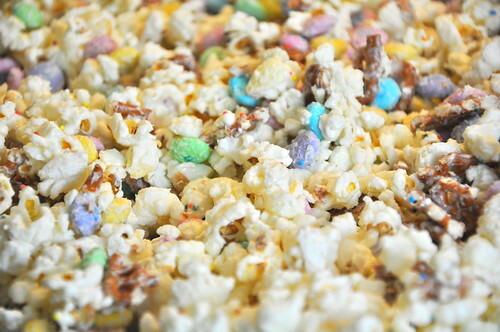 In a very large mixing bowl, sprinkle popcorn with a pinch of salt. 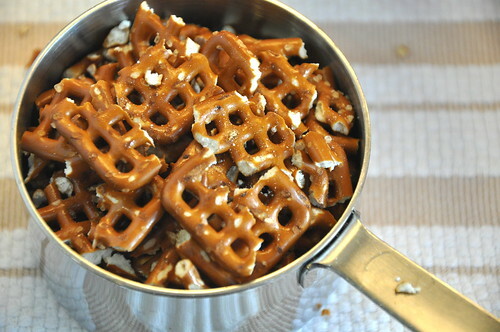 Toss in pretzels. 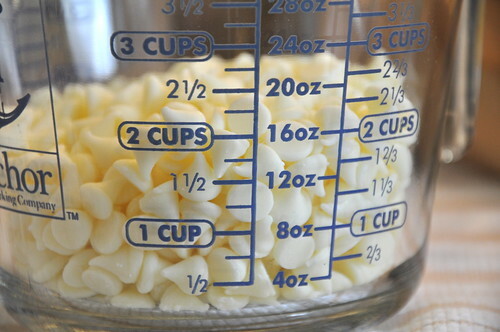 Pour white chocolate chips into a microwave-safe bowl or measuring cup. Microwave for 30 second intervals, stirring in between, until chips are melted. 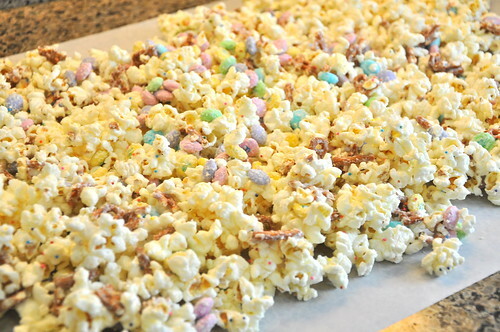 Drizzle melted white chocolate over popcorn mixture in two additions, stirring to coat. Add m&ms and sprinkles and toss to coat. 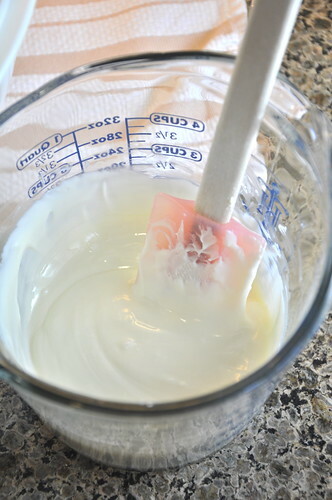 Spread mixture out onto wax paper or parchment paper. Allow to cool completely and solidify, then gently break into chunks. Store in an airtight container. I’m trying this for sure. I’m thinking about using Skinny Pop. 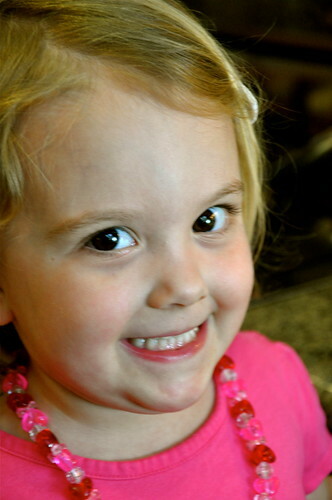 What do you think, Hannah. 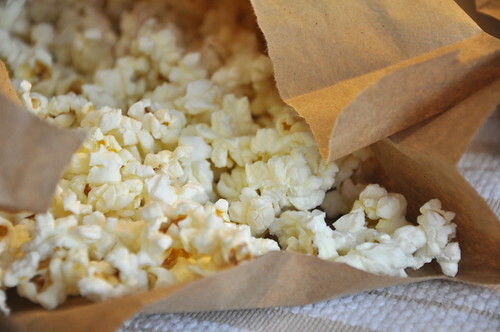 I know I will be defeating the “Skinny”, but I love the texture of this popcorn. You can definitely use Skinny Pop. I think any popped popcorn would work just fine.